Gain highly beneficial & practical training for any type of cold weather expeditions in the world. This course was created based on our extensive experience running expeditions over the last two decades in the Arctic and the Antarctic. We have designed a comprehensive training that combines lectures, practical exercises and a four-day training expedition on the Mýrdalsjökull ice cap. 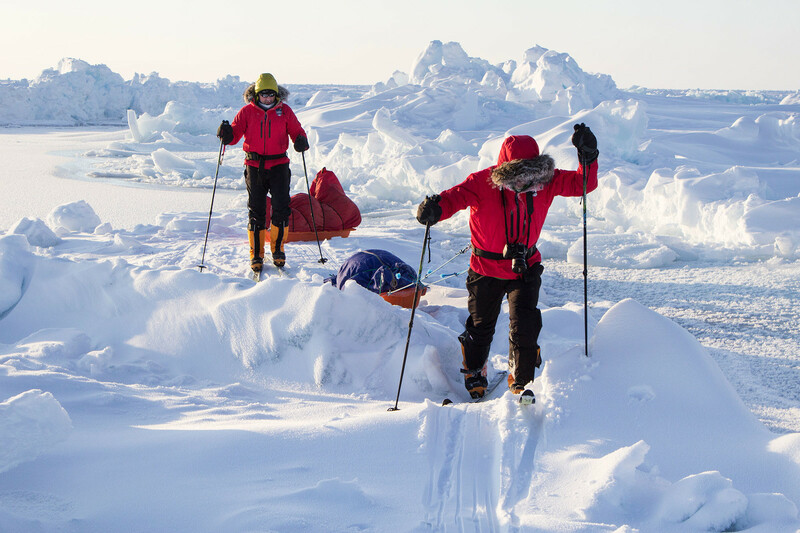 The aim of the course is to prepare people for expeditions in cold weather conditions. The topics that will be covered are: crevasse rescue, cross-country skiing, nutrition, high altitude sickness, logistics, communication, avalanche risk/rescue/ estimation, leadership skills, expedition politics, general rescue, polar bears, crossing open waters, camping & daily routine, and hydration. There will be a lot of focus on polar travel using cross country skis. However, no prior experience of cross country skiing is needed. After completing the course, you will have the knowledge and practical experience to do expeditions.. Whether you want to go to the North Pole, kite-ski over the Greenland ice cap, ski to the South Pole or to do mountaineering expeditions, like Denali/Mt. McKinley in Alaska, you will be prepared. Leifur Örn Svavarsson, co-founder of Icelandic Mountain Guides and one of Iceland’s most accomplished expeditionist. His extensive experience includes completing the Explorers Grand Slam, all 7 summits in the world, both poles and more. Prerequisites: Students are expected to have some background in outdoors travel and a good general level of fitness. All prior experience related to rope work is beneficial. No prior experience of cross-country skiing (Nordic skiing) is needed. Note: Appropriate outdoors clothing is necessary. Equipment list will be sent out after booking. All technical gear can be rented from Icelandic Mountain Guides. If participants bring their own gear, the instructor has the right to reject it if he thinks it's not up to safety standards. I absolutely would recommend the course. It was an awesome experience and now I am much more prepared to take the next steps with leading and organising expeditions, and polar travel in general.I would have to say that the best part of the course was the field experience where we undertook a mini expedition on the Vatnajökull, where we went to Esjufjöll and then down Breiðamerkurjökull, the glacier which gives the icebergs of the Glacier Lagoon. Implementing the skills we learned in the lecture-led part of the course was great. This took 4 days and three nights in total.